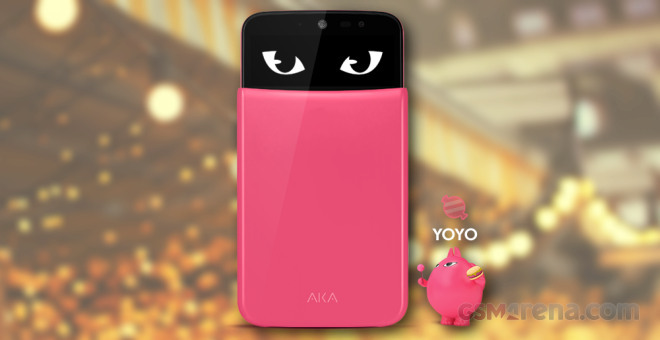 The AKA’s display is decent at 5″ and 720p resolution, but its Snapdragon 400 chip is rather dated. Still, the phone offers 1.5GB of RAM, which is more than most of the S400 devices, plus there is an 8MP very capable camera with laser autofocus. Finally, the battery for the Asian unit has 2,460 mAh capacity, while the European one comes with a beefier 2,610 mAh. The first test we out the LG AKA through gauges its 3G talk time endurance. The phone did a lovely job, lasting almost a full day before its battery went dead. Then we hooked up the phone at our dedicated web browsing script, which mimics normal browsing routine. The AKA did once again great packing enough juice to support the script for 10 and half hours. The looped video playback returned an excellent result – the AKA played our video sample for half a day before its battery dropped down to 10%. 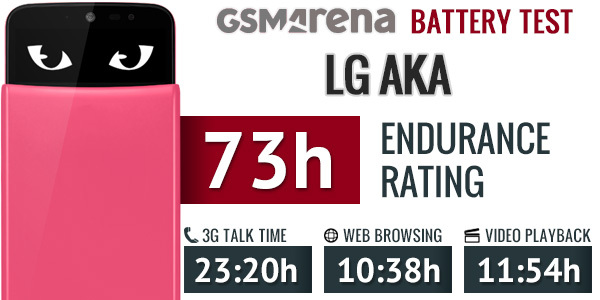 The standby endurance is calculated in the final battery score and the AKA did average here – about 200 hours on a single charge. If you use a battery saving option for the standby mode, you can squeeze a lot more from this. So, the overall rating of 73 hours means you can count on three full days if you do an hour each of calling, web browsing and video playback daily. Boosting the standby endurance will bump this rating significantly.